← Accessing the cylinder bolts. Finally got the old cylinder out. 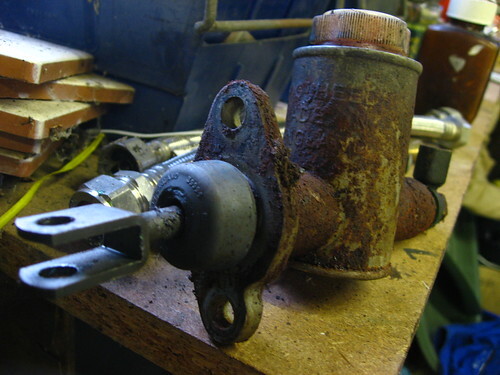 I've not had a proper look at it yet, but it looks like the spring has seized in the piston. Rather than try a repair kit, I've got hold of a full replacement.